ah yes, date nights. my favorite. the ones where husband says, "date night tonight, it's a surprise and i'm choosing!"... those are the good ones. some of the best in fact. hubs' surprises are always something to look forward to, especially on random wednesday nights! 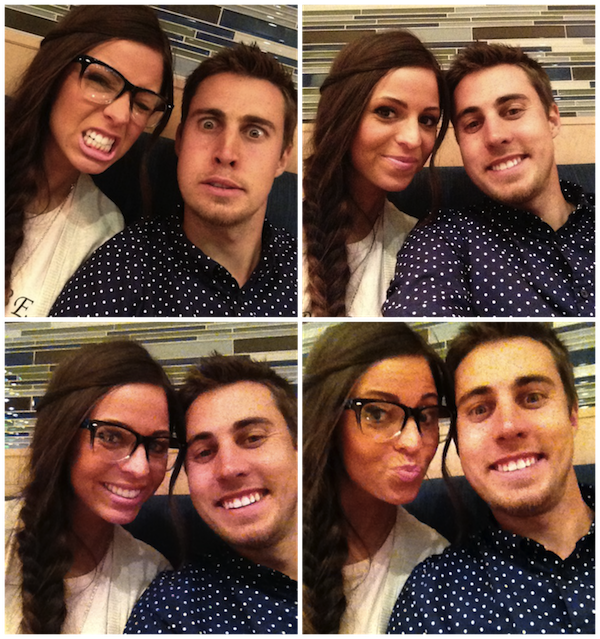 this was nothing less than the norm- he surprised me and took me to city creek and we ate at blue lemon. the food was pretty fantastic and i realized after i had already dug in that i wanted a picture to show how pretty it was... so don't mind the few bites that escaped the plate early. just a quick tutorial on how i do my fishtail braid. Alright, I knew I liked you already just from your posts, but that tutorial where I got to see you "in person" made me like you even more! You are seriously the sweetest! Can you do a hobo braid tutorial? I love your glasses! What brand/style number are they?